Yoga began to gain popularity in the United States around the year 2000. Madonna announced she was giving up weights for Yoga, Rodney Yee, very popular Yoga Teacher, made an appearance on Oprah and Christie Turlington, super model, was featured on the cover of Time magazine. Jimmy Barkan was way ahead of the this trend starting his Yoga career in 1980! 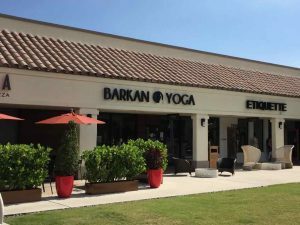 Barkan arrived in South Florida in 1982 and opened his first school in Fort Lauderdale in 1983 making Jimmy a pioneer in his field! Most of the successful hot yoga teachers in Broward and Palm Beach either studied or certified by Jimmy Barkan.